Insulating your attic will help keep your heating and cooling from going through the roof and your wallet. Keep in mind that insulation can compress over time, become less effective and may need to be replaced. Adequate insulation will keep unwanted heat out of your home, reduce the workload on your cooling system and save money on your electric bill. Grab a ruler or tape measure and a flashlight and go into your attic to measure the depth of the insulation at the attic entry. After measuring, use this guide as a rule-of-thumb to determine if more insulation is needed. 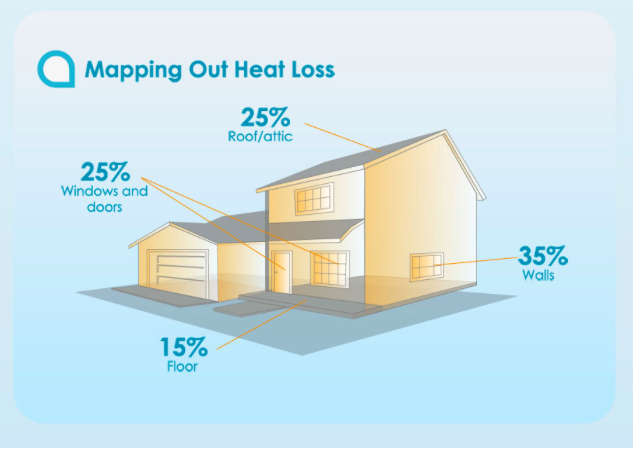 Most utility companies offer rebates and incentives programs to help cover the cost of installing recommended levels of attic or roof insulation. Typically, the request for rebates must be made within twelve months of installation. You can use an online zip code insulation calculator such as the one provided by the Department of Energy to determine the recommended attic R-value for your specific region, age of the home, method of heating and home construction. http://web.ornl.gov/sci/roofs+walls/insulation/ins_16.html. Although you could install insulation yourself with the proper protection and equipment, it’s generally recommended that you hire a licensed contractor who can recommend the type and value of insulation that works best for your home’s age and construction. 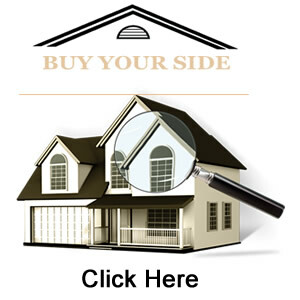 Buy Your Side Home Inspections has been inspecting homes and businesses in Central Florida, and specifically Osceola County, for many years. When it comes to serving St. Cloud, Kissimmee, Poinciana, and all of Osceola County, your home inspection satisfaction comes first. We are Buy Your Side every step of the way! For all your inspection needs, call 407.780.0911. 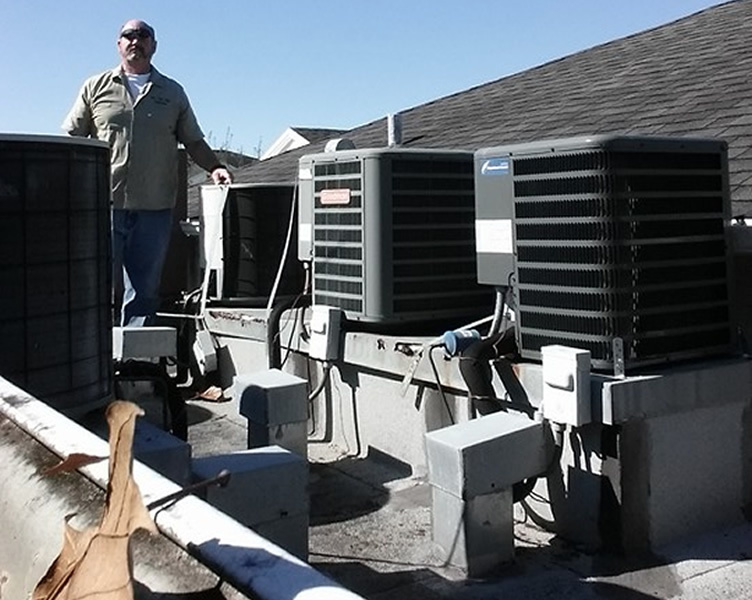 Do we go to extreme measures to access rooftops where the air conditioning systems are? Yes we do! We inspect them like my mama’s going to move in! We do it because that’s what the job calls for, an I love what I do. I take great pride in inspecting homes, whether it be for a home buyer, or a home seller or someone who has been in their house for many years and wants to make sure all is safe and sound. I believe I can safely say that there’s not a harder working home inspector in Osceola County. Call us today at 407.780.0911. Yes, It’s true… homeowners sometime try to hide things from the home inspector… but we are tireless in our task of uncovering hidden issues, so this AC handler was no match for me as I was scouring the property for potential issues within the property. Now, in all seriousness… most people are honest and are just trying to increase the value of their home prior to the sale, but we are committed to making sure we don’t miss any potential issues with the home. It’s what we do and we do it as if our mama’s were moving in! This is one more reason why it’s a must to have a home inspector inspect your home before you buy. We call this the leaning heater of p’ana. Purchasing a home is often the largest investment a family will make in their lives. It’s a very serious decision and commitment and having an adequate amount of information about the house you’re considering is paramount if you want the decision to be a good one. At Buy Your Side Home Inspections we leave no stone unturned s they say. In the photo in this post you can see that we inspect thoroughly and efficiently… no matter the age of the home! Do you own or live in a home that is more than 30 years old? If so, you may find that the insurance companies you do business with now require an inspection of your home before they will issue you an insurance policy. 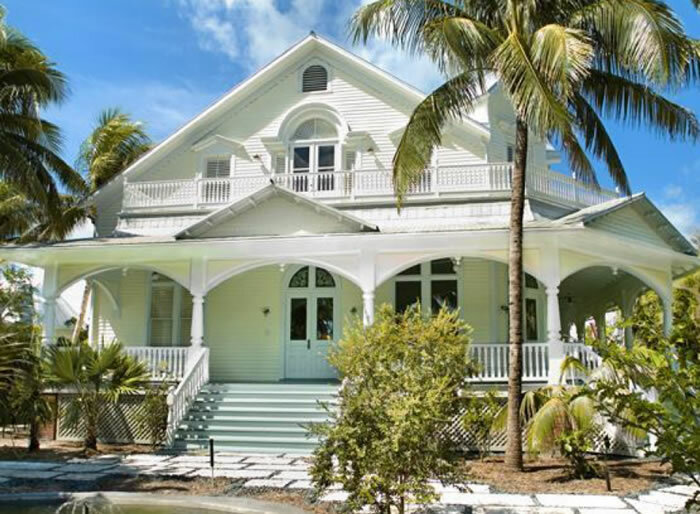 Osceola county is steeped with numerous older homes that are definitely over 30 years old, so we are often asked to prepare 4-point inspection reports for the owners of such homes. The home’s age at which a 4-point inspection is requested depends on which insurance carrier you are dealing with. More than 30-years old is the threshold in which some companies require an inspection, while others are more lenient and don’t require an inspection until the home is 40 or even 50 years old. One company, Citizen’s Insurance is an example of an insurance company who now requires a four-point inspection for both new policies and renewals of homes or mobile homes that have reached thirty years old. What I tell people in the community all the time is that i inspect homes as if my momma was moving in… and I mean it. If you’ve been in a home for 25 or 30 years I recommend an inspection. You may not realize a few things. For one, you can save money with some upgrades. Wind mitigation inspections can really save the homeowner money. Insurance companies basically reward homeowners who have correct hurricane protection in their roofing structure. You may or may not meet the requirements that the insurance company asks for… but ether way you want your roof to be adequately sound during the stormy weather we receive in Osceola County. 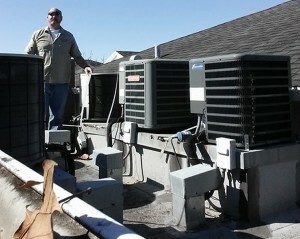 I also inspect electric and HVAC systems. I see fire hazards everyday in my profession. Remember, I inspect homes like my mama is moving in. I want you to be safe and electrical and HVAC systems after many years can become dangerous, not to mention inefficient. I help people know what they need… not what a sales person says they need. I inspect the water systems as well… if you have ever seen water damage in a home you know what water damage can do…. So what I am saying is… I am on your side… or as my company says… Buy Your Side! Call me at 407.780.0911 or just contact me here! Osceola County Home Inspections and Energy Costs! Most people don’t know how easy it is to make their homes run on less energy, with as many homes as I see during my home inspections, I assure you.. it is important, but not often very complicated. Large scale reductions in heating, cooling and electricity costs can actually be accomplished through some pretty simple changes, and most of which can be done by the home owner. Having Buy Your Side Inspections helping you to understand what energy saving possibilities exist can offset our modest inspection fee. It’s part of what we do as we inspect your home or business. • It saves money. It costs less to power a home that has been upgraded to be much more energy-efficient. • The overall comfort of the home, especially as we transition from season to season in Central Florida. • Many scientists now believe that excessive energy consumption contributes significantly to global warming. Without taking a stance on that subject – saving on energy use is wise for in Central Florida as our population continues to grow – the energy utilities are being maxed out in their capabilities affecting the cost and quality of energy for Central Floridians. • It reduces pollution. Conventional power production introduces pollutants that find their way into the air, soil and water supplies. Upgrading your energy efficiency in your home is a major plus in many ways for sure. • As much as half of the energy used in homes goes toward heating and or cooling. Ways that energy bills can be reduced through adjustments to the heating and cooling systems are things like installing ceiling fans throughout the home and by installing a programmable thermostat. A programmable thermostat can often save money by allowing heating and cooling appliances to be automatically turned down during times that no one is home and at night. Programmable thermostats contain no mercury and, in some climate zones, can save up to $225.00 per year in overall energy costs. • The average household dedicates 13% of its energy budget to lighting. Traditional incandescent lights convert approximately only one tenth of the energy they consume into light, while the rest becomes heat. The use of new lighting technologies, such as light-emitting diodes (LEDs) and compact fluorescent lamps (CFL), can reduce energy use required by lighting by 50% to 75%. The life span of these lighting technologies is much longer than traditional lighting and saves on overall replacement costs as well. Sealing and insulating your home is one of the most cost-effective ways to make a home more comfortable and energy efficient -– and you can do it yourself. A tightly sealed home can improve comfort and indoor air quality while reducing utility bills. During our normal inspection we may recommend fixes that will dramatically increase your home’s comfort and can affect energy savings. Every day I find home with windows that need to be replaced and doors that need to be upgraded and replaced. I also find in older homes that there is little to no upkeep or consideration given to tightening up exterior wise with caulk and weather stripping. Older homes need attention that newer homes MAY not. So, when I make suggestions about your home’s energy use, or that your home needs some outside attention, take it seriously. 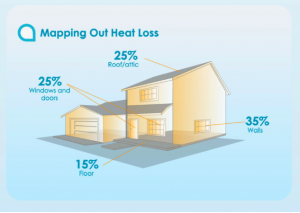 It may not just help your energy costs… it may affect how long your home fends off the weather and the effects of our central florida seasons! Today, new energy efficiency standards from the National Appliance Energy Conservation Act (NAECA) go into effect for water heaters. Starting that day, manufacturers will only be allowed to make water heaters that conform to the new energy standards. Existing water heaters will still be allowed to be sold, but I don’t expect that supply to last for more than a few months, and I’ve heard those supplies have already disappeared in some areas. Here’s how the changes will affect homeowners. Side note: Don’t call it a “hot water heater.” It’s just a water heater. 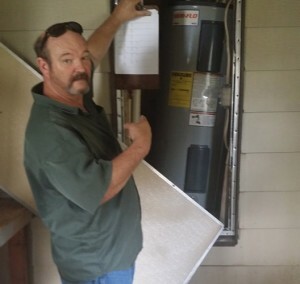 Water heaters under 55 gallons will need to have their energy efficiency rating bumped up just a tad. To do this, manufacturers will be adding about an inch of insulation to the water heater tank. This will increase the diameter of same-capacity water heaters by over two inches, and will increase the height by about one to two inches. This increase in size won’t be a big deal for most people, but if the water heater is squeezed into a tight space, replacing the water heater could be a hassle, or possibly require replacement with a smaller unit. The diagram below is being used with permission from AO Smith. Gas water heaters over 55 gallons will need to have an energy factor of at least .74 to .75, depending on the exact size. To achieve this modest energy factor increase, it’s expected that manufacturers will only produce condensing water heaters for these larger sizes. That means a powervent water heater, which needs to have its own dedicated exhaust vent, a power source, and a way to dispose of condensate. These water heaters are obviously more expensive, and the installation costs will be higher too. Electric water heaters over 55 gallons are about to get silly. For these units, the energy factor is going to more than double. 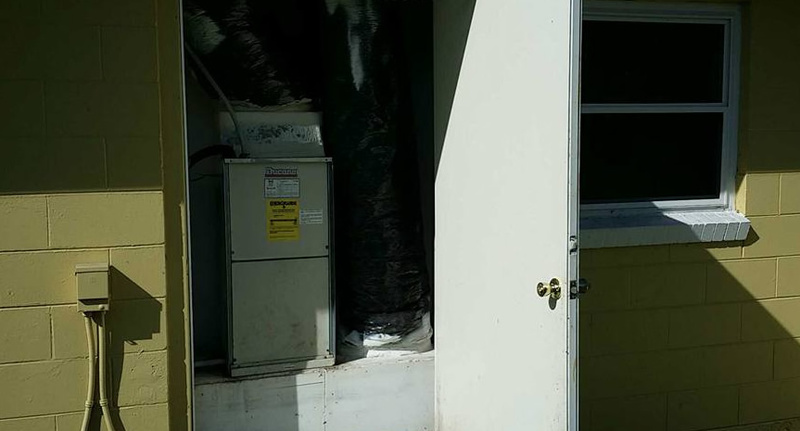 To get there, you’ll be looking at a heat pump water heater. Never seen one? I haven’t either. A heat pump water heater works by extracting heat from the air and transferring it to the water in the tank. Of course, this means it’ll act like an air conditioner in the home. How much will this cool the space it’s in? I don’t know yet, but I’ve heard it’s fairly significant. 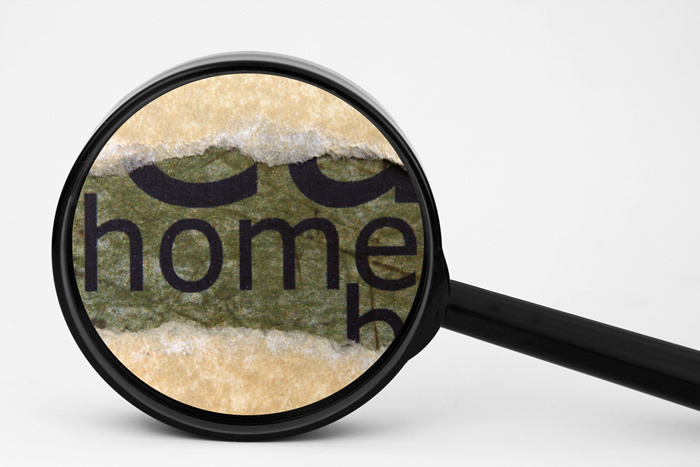 It’s important to utilize a Home Inspector that’s on top of technology, inspection regulations and the always changing state and federal laws. Tommy Joynes of Buy Your Side Inspections is trusted, knowledgeable and ready to assist homeowners and homebuyers. 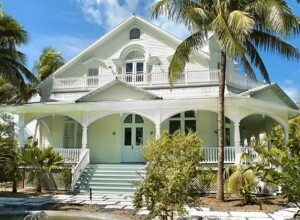 Just cal 407.870.0911 or visit www.thefloridainspector.com! With the endless parade of celebrities walking the red carpet before the upcoming Oscars, it’s a reminder about the condition of your own home’s carpets. 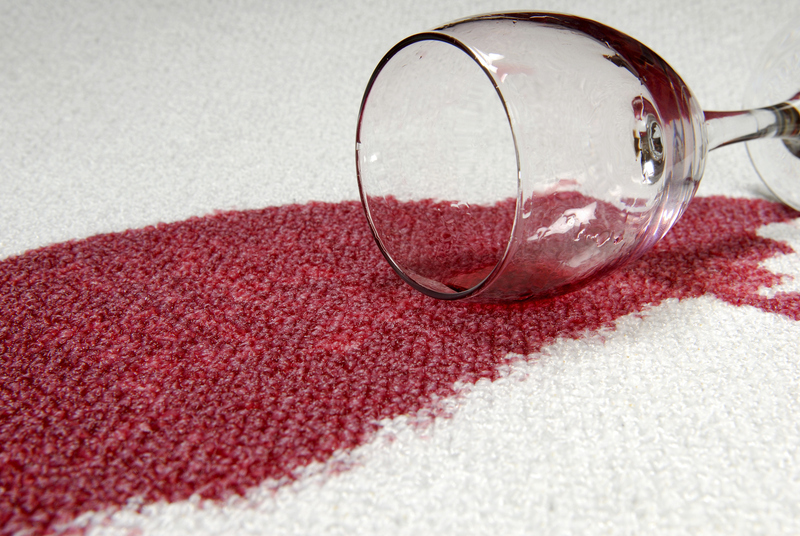 Can you carpets pass the “Red Carpet Ready” test? If you are thinking about selling your home in the near future, potential home buyers may be turned off by worn or stained carpet and ask for a reduction in asking price to replace the flooring before the offer or not make an offer at all. The carpet in your home is a host for all kinds of unwanted materials including dust mites, bacteria, viruses, dead skin cells, mold, pet dander and of course – dirt!. Many of these conditions can contribute to allergies and health concerns. You can follow these simple steps to make sure your carpets are well cared for and maintained to help keep them as clean as possible. Vacuum Regularly. Carpets should be vacuumed at least twice a week with “high-traffic” areas vacuumed daily to prevent the buildup of unwanted materials. Areas with less traffic can be vacuumed once a week. It’s important to maintain your vacuum by replacing the bag often or cleaning the filter frequently. Remove Stains Immediately. Treat spills and pet accidents as soon as they occur to make sure they don’t become permanent. There are many professional products available to remove stains. If you want to go the natural route, a simple internet search can result in a number of homemade stain removal solutions as well. Professional Cleanings: As a rule, your carpets should be cleaned once a year by a professional service to get the best results under normal conditions. If you have pets or children, they should be cleaned more frequently. If you are planning on buying or selling a home in the near future in Central Florida and Osceola County, we believe strongly that a full home inspection is a must! Having a full Home Inspection done by Buy Your Side Home Inspections will take all the guesswork out of buying or selling a home. Call Tommy Joynes of Buy Your Side Home Inspections at 407.780.0911 today!